Welcome to the Utah Summer Coached Swim Classes! These unique swim classes are all about training, having fun, and fine-tuning your swim with specific training for the swim portions of triathlons. We invite ALL abilities of swimmers to come join us. 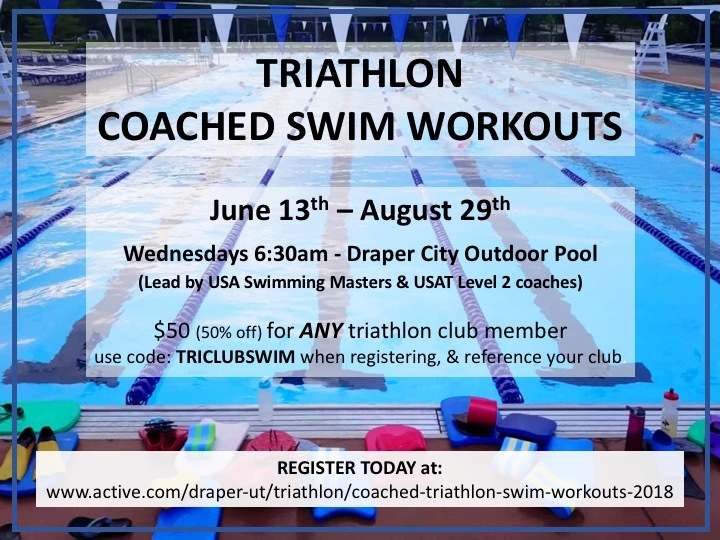 We will have multiple USA Triathlon Level 1, Level 2 triathlon coaches, as well as USA Paralympic & USA Swimming Masters Certified Coach Wes Johnson on deck working with athletes. We hope you will join us! We look forward to seeing you in a few weeks! We also invite you to join us Thursdays 6-7am at Olympus High School for our year-round triathlon-focused masters session.